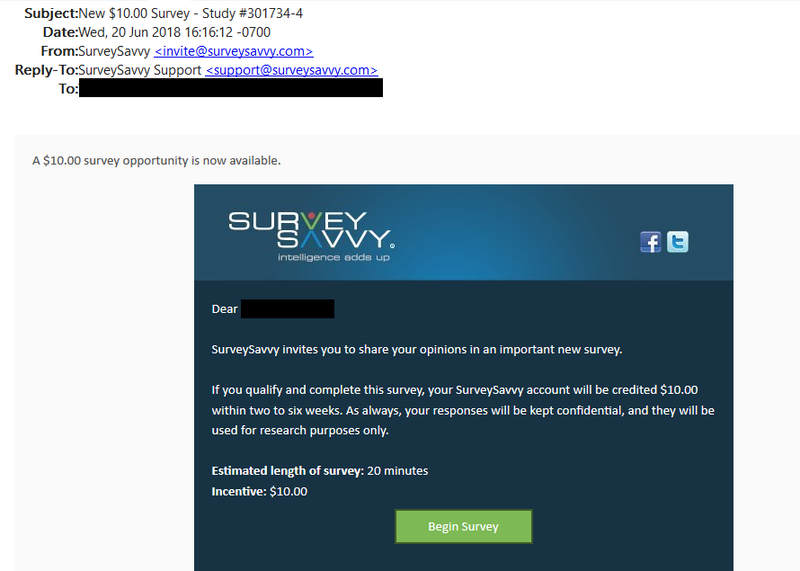 SurveySavvy typically awards its members with cash for every online survey they choose to participate in. The minimum payment amount is $1 US and all members are paid in US currency by cheque. If you don’t qualify for an online survey, you will be given one entry into the monthly draw for 50, $10 US prizes. They also offer a great referral program where you not only earn cash for every cash survey your referrals take, but also when your referrals’ referrals participate in a study. Typically you will earn $2 US for your referral’s surveys and $1 US for your referral’s referrals surveys though this does depend on how much the originating survey is worth. SurveySavvy is the online survey panel of Luth Research and millions of members worldwide, with over 1500 people joining the panel every day. They claim to have paid out more cash to its panelists than any other online market research company. Luth Research was founded in 1977 and its online survey panel, SurveySavvy, was launched in 1999. It’s easy to become a member of this survey panel. Simply complete the short registration form, check your e-mail for a confirmation message and click on the link confirming your registration and you’re finished! From that point on, check your e-mail account for survey invitations. If you’d like to be invited to take surveys more often, make sure to complete the survey profilers which you will be able to access when you login to your account. When you are e-mailed a survey invitation, it will state the topic of the survey, the approximate length of time it will take you to complete it, as well as how much money you will earn for finishing the survey. It is always your choice whether or not you are interested in completing the survey – it is never mandatory or a requirement. BBBOnLine Reliability Participation Confirmed – A+ Rating current as of April, 2019 (Luth Research operates the SurveySavvy panel). It says that they pay in US currency by cheque, what if ur Canadian? how do u get CAD currency by cheque? SurveySavvy only issues cheques in US currency, no matter where you live. You can take the cheque to the bank and they can convert it into Canadian currency for you, normally at no charge. Or you can simply cash the cheque and get actual US dollar bills from your bank and use the cash the next time you go the States. Because SurveySavvy has members all over the world, it is difficult for them to issue cheques in multiple currencies, hence why they only issue cheques in USD.